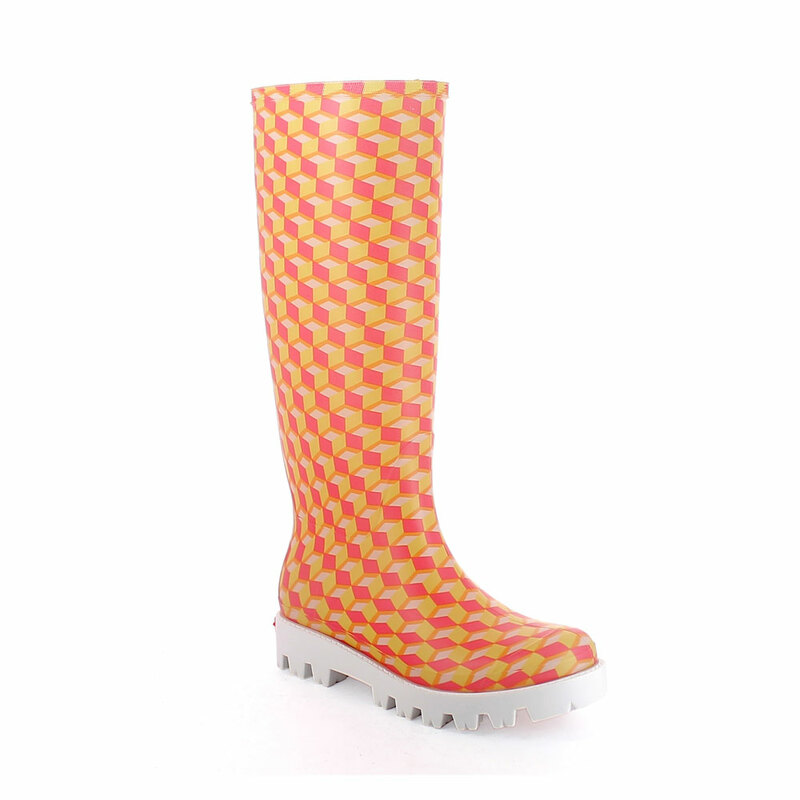 Matt finish pvc Wellington boot with "cut and sewn" inner sock with pattern "Cubi"; Lug outsole (VIB). 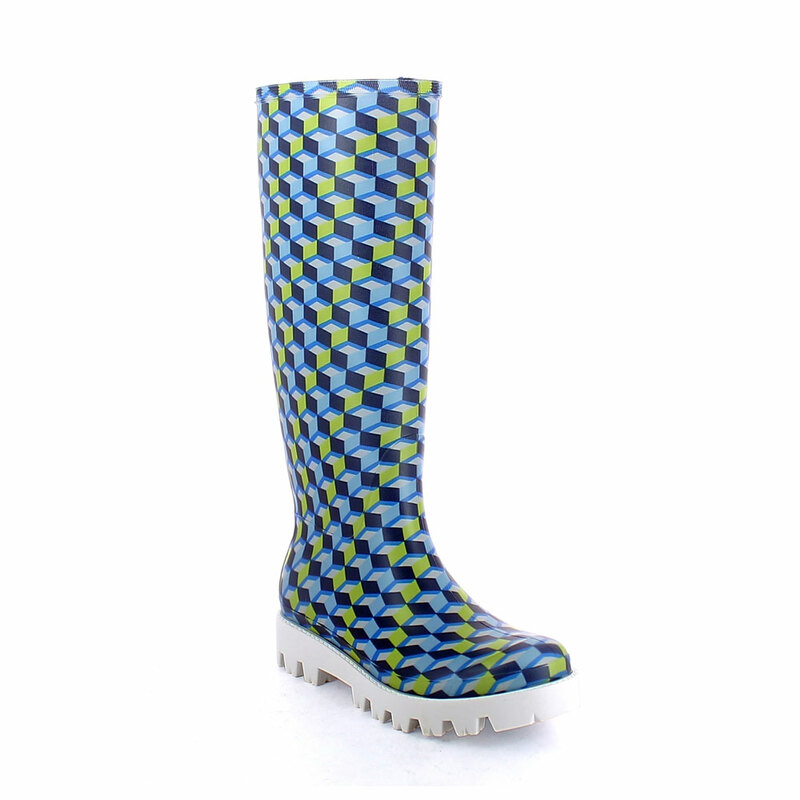 Colours available for orders: fuxia and blu Made in Italy. Size run: 35-41.